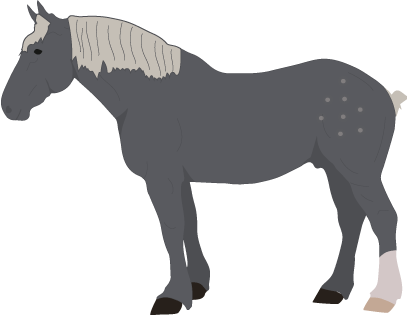 Polysaccharide Storage Myopathy(PSSM) is a type of muscular disorder of horses. It is associated with two different forms---designated as PSSM Type 1, which is caused by a glycogen synthase 1 (GYS1) gene mutation, and PSSM Type 2, are not caused by the GYS1 mutation and whose origin is yet unknown. Stretch out as if to urinate as soon as they stop moving. Signs are most often seen in horses after 10-20 minutes of light exercise upon initial start of training or following a lay-up period when they receive little active turn-out. Horses can also show symptoms without getting exercised. Horses usually show signs of unwillingness to perform after 5 - 10 min of exercise. Both forms are diagnosed through a conducting a muscle biopsy, which shows clumping of muscle glycogen. However, a false positive diagnosis can occur if the muscle biopsy is crushed with forceps resulting in abnormal glycogen and a false negative diagnosis can occur if samples are not kept chilled and shipped quickly to the laboratory because glycogen is degraded while the muscle biopsy is in transport. 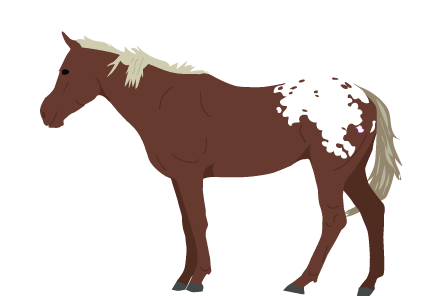 In addition, muscle biopsies for horses with PSSM2 and recurrent exertional rhabdomyoloysis (RER) can look very similar. 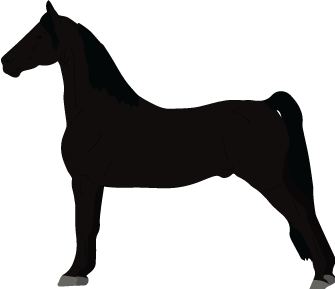 The mean age of onset of clinical signs of PSSM2 in Warmbloods is between 8 and 11 years of age. If the horse is being ridden: Stop exercising the horse. Move horse (if willing) into a stall. 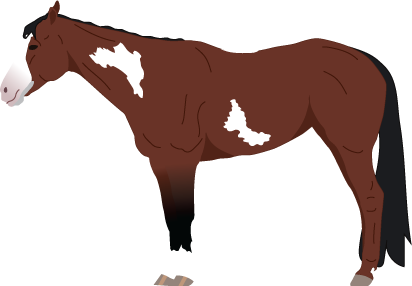 Evaluate how dehydrated the horse is by pinching the skin or feeling the saliva. What Not to Do: Do not feed the horse any grain. What to do: Make sure there is fresh, clean water available for the horse to drink. Provide electrolytes in a separate bucket of water and offer to the horse. If its cold, blanket the horse to keep warm. If its warm weather, remove any sweat and provide access to a fan to keep cool. If both diet and exercise are altered, than the majority of horses no longer have episodes of tying up or significantly reduce the number of episodes that occur.